When students make presentations in your class, are they still using making a PowerPoint and showing it to the whole class at once on the classroom projector? You can make their practice more effective by having them present more than just once! 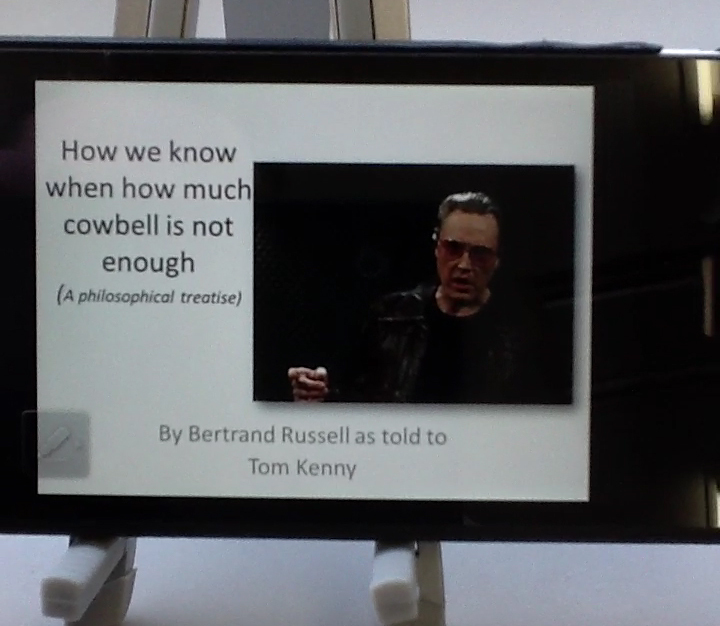 One thing I’ve been doing for a while is having students do their presentations from their own iPhones. First they practice with a friend, then in small groups, then in groups a little bit larger…you get the idea..until they’re ready to do it in front of everybody. The big problem is that iPhones and iPads won’t show a PowerPoint just how the student wants the PowerPoint to look. It’s a formatting problem, and it annoys students a lot! Good thing that there’s a way around that. There are a few free online sites that will let then upload their MS .ppt PowerPoint file and then download it onto their iOS device so that it looks perfect. I made a short video for you so you can see how it works. Sure I know, why not just make them buy Keynote? Then you won’t have to fool with a third party service. Well, PowerPoint is still the software they have on their home computers. Until that changes, we need to figure out other ways to accommodate our learners. At least the workaround (the website and the app) is free, so that helps. If you’ve tried this sort of thing, tell us how it worked for you. Please share this or post your comments below.